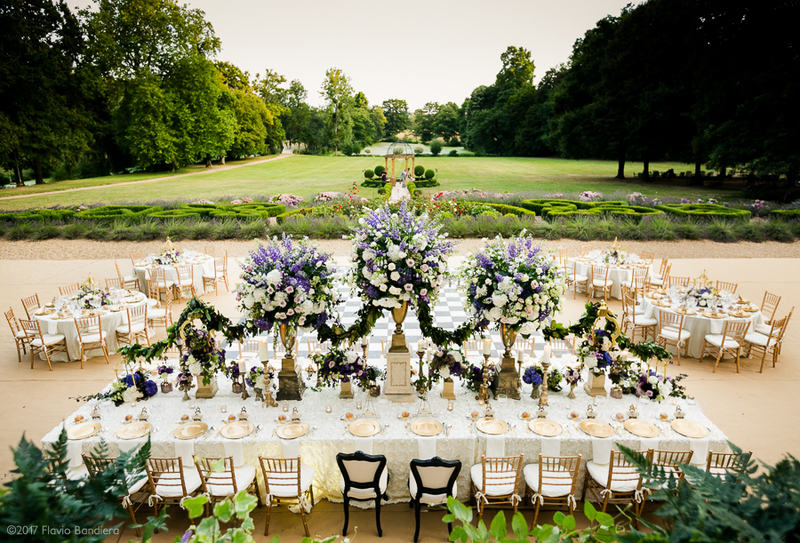 Grace Ormonde is a luxury wedding planning publication, its website is known worldwide for the fashion style that uses in the publishing of the most extraordinary events in the world. 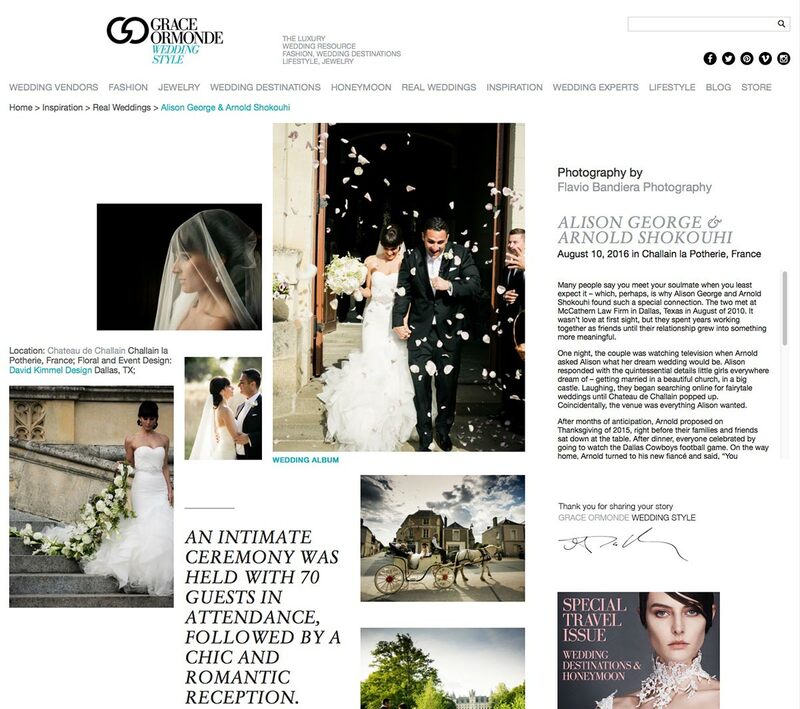 In January 2017 Grace Ormonde Wedding Style published the following article in relation to the extraordinary work done by David Kimmel Design, floral artist from Dallas, Texas, on the occasion of Alison and Arnold marriage, a couple which I had the opportunity to photograph on their wedding day. Here you can browse their album published on Grace Ormonde. He and she, true Texans, incredibly nice and deeply in love with each other, they delighted their guest with care and great attention to details typical of top-class weddings. The choice of the location, Chateau Challain, was born from Alison’s desire to organise their “yes” in a real castle. Desire readily received by Arnold, who in collaboration with the staff of the Chateau, was able to give to his beautiful bride an unforgettable day.